(TibetanReview.net, May16, 2017) – Nepal and China had been in talks over the past five months to extend the latter’s railway network in Tibet to the former’s capital Kathmandu, reported Reuters May 14, citing a Nepali finance ministry official. The report said building the railway will cost $7-8 billion, with funding being expected after Nepal formally joins China’s “One Belt and One Road” initiative. Speaking on the sidelines of the Belt and Road Initiative Forum for International Cooperation taking place in Beijing over May 14-15, Yug Raj Pandey, an undersecretary at Nepal’s Ministry of Finance, has said his country had already officially signed an agreement be part of the Belt and Road initiative. “Now that we are a member of [the initiative], we can get some specific project assistance from China’s government. We expect it for the railway,” he was quoted as saying. 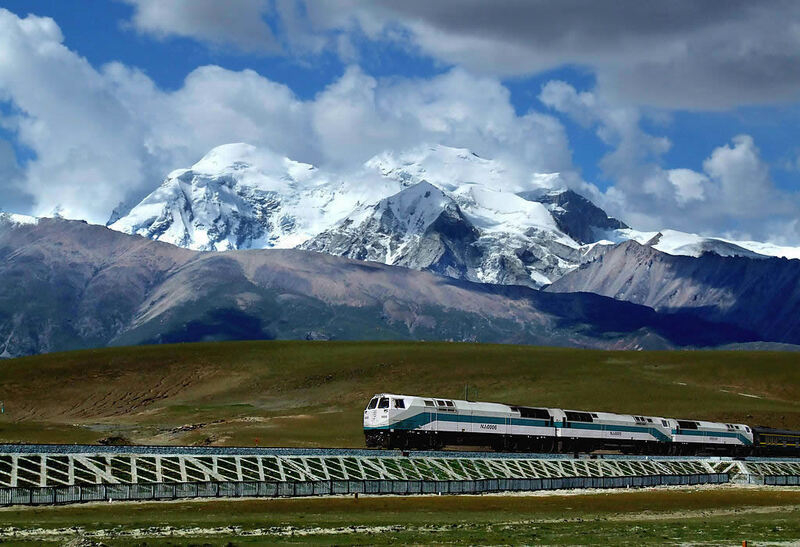 The proposed 550-kilometer line will connect Chinese ruled Tibet to Nepal’s capital and carry goods and passengers, the report said. Panday has said his country planned to start preparing a detailed project report for the railway but that it was yet to decide how much funding to seek from China. 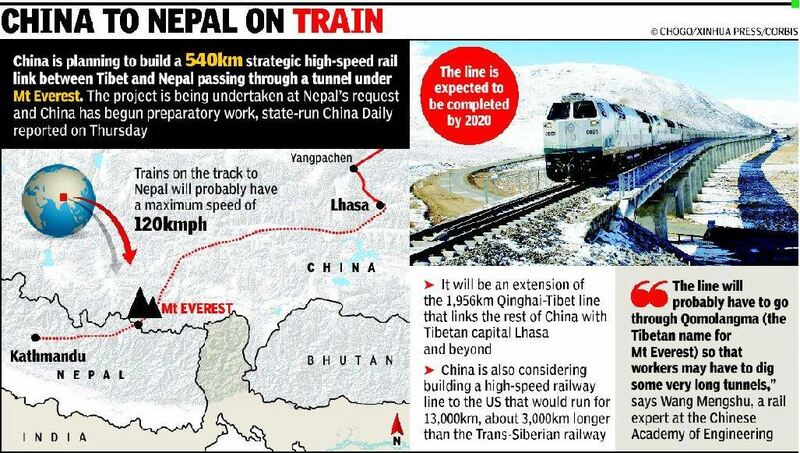 The report said the railway will travel more than 400 kilometers in Chinese ruled Tibet to the Nepal border, and then about another 150 kilometers to Kathmandu. “Once we connect by railway then we can increase our trade and invite more tourists to Nepal,” Pandey was quoted as saying. He has said the railway would be his country’s first priority, with the second one being hydropower projects and cross-border transmission lines between Nepal and China.